Today majority of people live life as it happens. They live life without any purpose or plan. They work very hard. They know what they are doing, but majority of them don’t know why they are doing. Today I am going to talk about book and principal given by Simon Sinek “Start with Why”. He gave simple yet very powerful way of explaining leadership and power of WHY. In research simon sinek discovered the pattern under which all inspiring leaders and successful business organization functions. All successful leader and businessman think act and communicate in an exact same way and it is completely opposite to everyone else. To explain this simons sinek use golden circle of what, how and why. Simons Sinek gives success story example of Apple. We do that by making beautifully designed, user friendly products. So way you communicate with people matters in business. 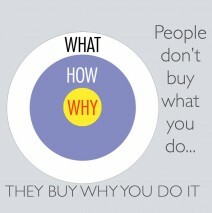 Sinek makes a case that “very few people or companies can clearly articulate WHY they do WHAT they do. Think differently and start with why to increase your chance of getting success. WHY means purpose, cause or belief? WHY does you company exist? This principle is true not only for successful company it is true for investment also. Before investing money you should clear your why for investment. 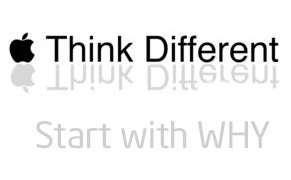 So today onwards Think different Start with Why, and see the difference.